A deferred fixed annuity is the insurance industry's version of a savings account. It helps you earn a modest rate of interest safely and allows you to postpone the payment of income taxes on your earnings for as long as you want. Other benefits of fixed annuities are safety of principal, more liquidity than CDs and typically offer higher rate of return than bonds, CDs, or treasuries. Fixed annuities sometimes offer higher interest rates than competing investments, such as CDs (certificates of deposit), because the insurance carrier puts your money in longer-term bonds, which typically offer better returns than short-term bonds. Whenever fixed annuities pay higher rates than other safe investments, they're worth considering. Here we see the performance of a fixed annuity and a CD over a 20 year period. The assumed initial investment is $100,000, with a 25% tax bracket with both accounts earning a 6% interest rate. Because the growth on the annuity isn't taxed each year like the CD, it continues to 'work for you' by compounding interest! Clearly tax-deferral pays off. This graph shows the difference in growth over time that a fixed annuity earns vs equivalent rate CD. Even after the second year it starts to outperform the CD, but as this graph shows, tax-deferral becomes more and more beneficial with time. With this graph, we can see exactly how much more this hypothetical investor would earn by choosing a fixed annuity over a CD. In this case, the annuity investor is receiving an additional $4307 per year by the end of the contract. Case in which it's advisable to purchase CDs would be if the purchaser is well below 60 years of age (because of the potential 10% IRS tax penalty). 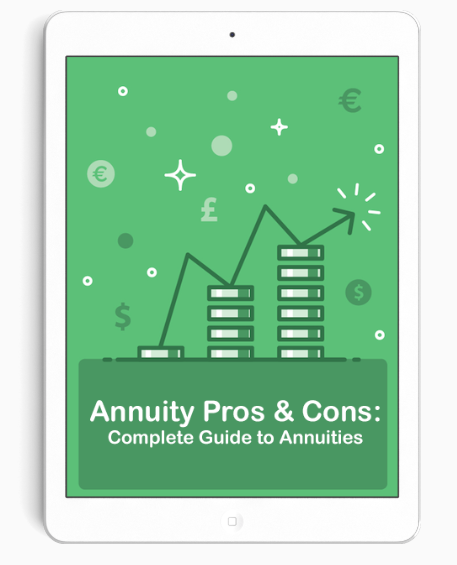 For investors over the age of 59.5, fixed annuities are typically the better choice. The other conclusion to draw from the above example is the exponential significance of long-term annuity investment. If you're looking to generate a large retirement savings, fixed annuities can help you meet that goal better than CDs or a money market account. The key to success is to start early and be persistent. Continue to "Finding The Best Annuities"